Plan B has already raised a substantial fund to help this very special pack of part "Red Wolf" dogs at The "Heart of a Wolf Sanctuary" in New Mexico. Kuna is the name of a mother Red Wolf who came into the lives of Azlan White and Darrein McDonaugh , in 2013; bringing the mission, vision and purpose of the wolf at this time, to the forefront of their lives. Both Azlan and Darrein have dedicated a lot of time over the last few years to nurture and shepherd this unusual educational pack. Plan B used it's existing relationship with Safeway to orgnanize regular donations of raw meat (fresh but past the best before date) to be collected by the pack. Safeway were a major sponsor of this year's Sedona Wolf Week and help several wolf / wolf dog here in Sedona with the same generosity, donating meat for their welfare. 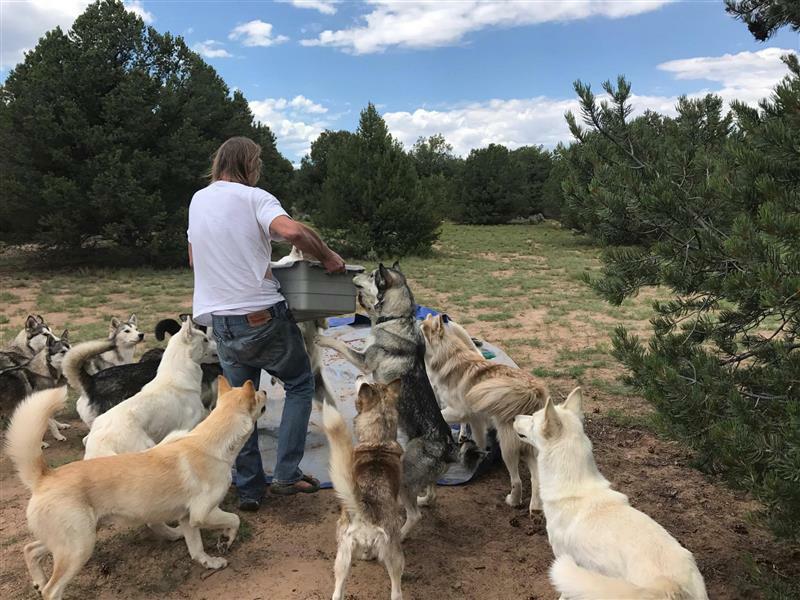 This will allow "Heart of a Wolf Sanctuary" to utilize funding to build proper enclosures for the safety of the animals and further improve the overall situation.